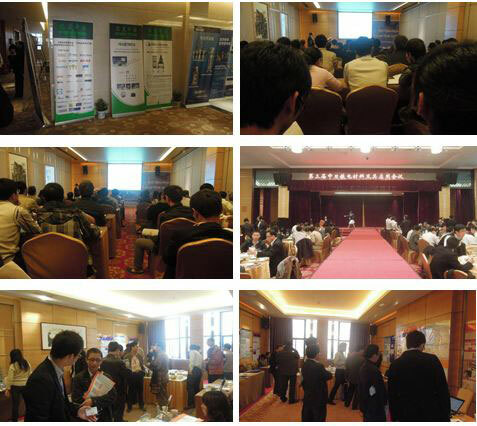 Hunai, China - Nov 13-17 2011 - Dymek China recently participated in the 3rd China-Japan Symposium on Ferroelectric Materials. We demonstrated Filmetrics F20-UVX in the conference. Both Dymek and visitors had a great breakthrough and understanding of each other’s applications. This can significantly improve our usage of ferroelectric in the future. Ferroelectric materials are one of the most important functional materials. In the past 20 years, significant progresses have been archived in the basic research and applications of ferroelectric materials. China and Japan are two of the most active countries in investigating ferroelectric materials. The China-Japan Symposium on Ferroelectric Materials and Their Applications conference is held in order to improve the communication and the cooperation between the researchers of the two countries.